1. In a saucepan on medium heat, add the dates and water. 2. You want to mix around the dates and water to make a paste. Add in the rest of the filling ingredients. Continually stir and mix to make a paste. 3. While this is sitting, in a bowl combine all the ingredients for the top and bottom crust and mix. 4. Preheat oven to 350F. 5. In a greased small pan, add the oat mixture to create the bottom layer. Pack it down!! 6. Remove your date paste from the stove and spread it on top of the bottom layer in the pan. 7. Now add your top layer of the oat mixture on top of the date layer. 8. Place in the oven for ~25 minutes until the top layer is browning. 9. Store in the refrigerator (almond meal is more susceptible to rancidity than regular wheat flour). Ahhhh …. #wayback Wednesday is dedicated to this squares of deliciousness!! 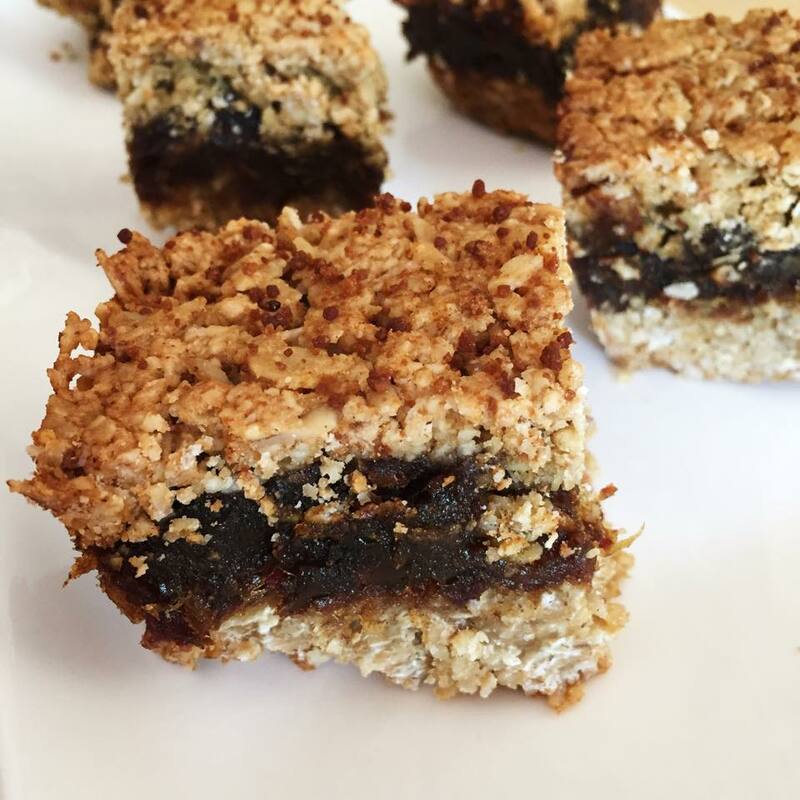 If you haven’t tried my Healthy Date Square recipe…. you must. It is a family favourite.